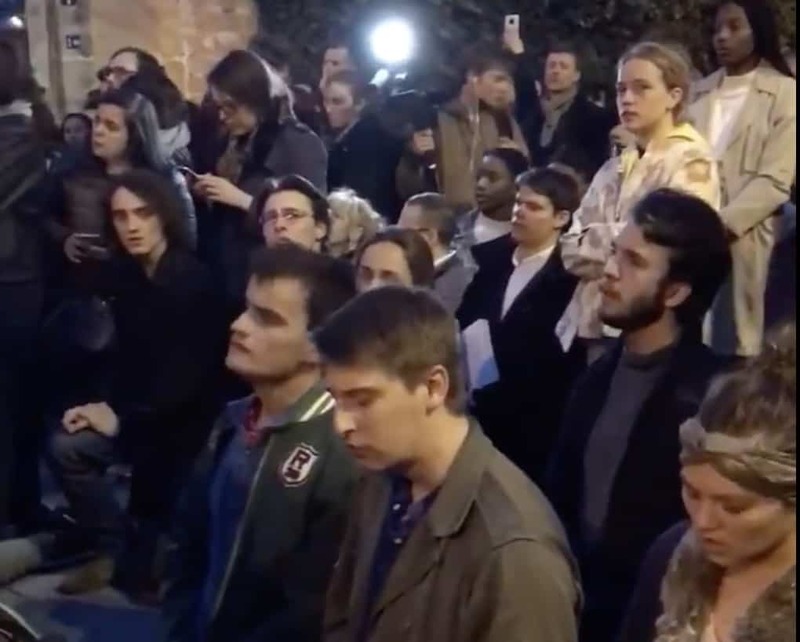 A correspondent for the Spanish newspaper El Mundo named Ignacio Gil captured this quietly heartbreaking video of Parisian onlookers singing “Ave Maria” as the light from the fires of the Notre Dame Cathedral reflects off their faces: A lovely rendition of one of history’s most beautiful songs, sung in the smoldering shadows of one of history’s most beautiful structures. The cause of the fire in the Notre Dame Cathedral is unknown, but authorities believe a spark caused by renovations to the spire may to be to blame. No deaths have been reported and firefighters have been able to save most of the church’s vast and irreplaceable art from the fire, but the building itself may not survive.